Rachel P swingin that bell! Rachel quietly goes about her business and continues to grow as an athlete. She’s always in class to learn or teach. Great work Rachel!! Awesome lady and dedicated to getting better every day! Great picture! It shows the determination and focus Rachel always brings with her. Rachel! Always kind, smiling and working hard! What a great example she sets for those CrossFit kids of hers.. they are strong just like their mama! Keep setting that standard! Rachel is always ready, focused,and always smiling. Rachel! 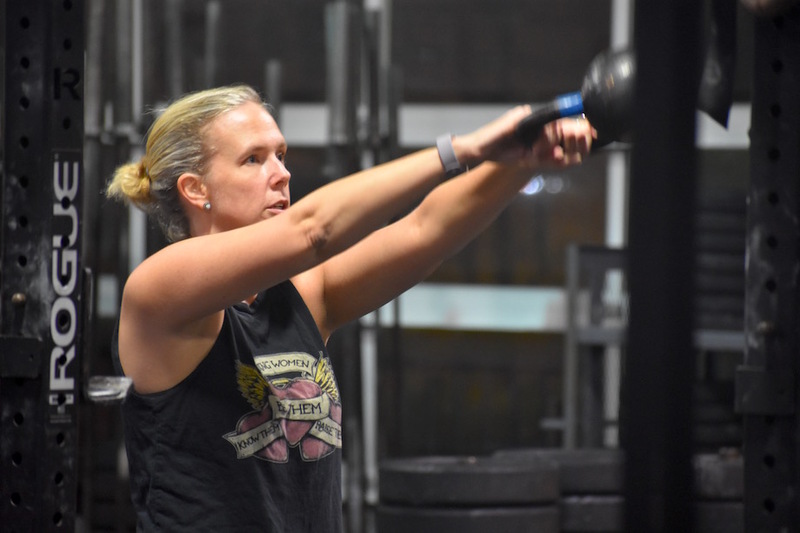 She takes on wods with focus and she is killin it! Great job! Rachel has made tremendous strides and continues to get stronger. Keep working hard!